There’s a lot of water coming from our community kitchen’s drain pipe whenever we’re having swaraj university or workshops or internships here. 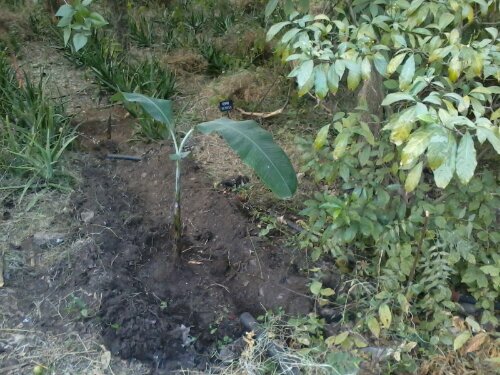 After seeing a similar best practice at a permaculture farm in Auroville, today we dug a channel from the pipe and planted two banana saplings there. Hopefully we’ll have zero-irrigation bananas growing here soon!